Barry White, who later found fame as the frontman for Barrence Whitfield and The Savages was born on June the ‘13th’ 1955, in Jacksonville, Florida, but his family moved to East Orange, in New Jersey when he was a child. That was where the Barry White sang in a gospel choir, and where he attended West Side High School where he sang and played drums in various rock and funk bands. This came as no surprise to Barry White’s friends and family who had watched his love of music blossom. Initially, Barry White discovered Little Richard, Sam Cooke, James Brown and Otis Redding, before later, embracing Jimi Hendrix and Funkadelic’s music. All these musicians and bands had inspired and influenced Barry White when he played the various high school bands. However, after he graduated from West Side High School, it looked like Barry White had turned his back on a musical career. Instead, Barry White enrolled at Boston University, where he planned to spend the next four years studying for a degree in journalism. However, Barry White soon discovered that a student loan didn’t go far, and decided to look for a part-time job after the university. Fortunately, a local used record shop was looking for someone to work part-time in the early evenings, and after Barry White spoke to the owner he was given the job. For Barry White who had loved music ever since he was a child, working in the record shop was a dream job. He didn’t even mind people joking about his name, as he was doing something he loved and meeting and mixing with people who shared his passion for music. This included Peter Greenberg the former guitarist with the Boston-based punk group DMZ, who had also played the with legendary local band The Lyres. When he entered the used record store one evening in 1977, he happened to hear Barry White singing, and straight away, realised that Barry White had potential. Little did Peter Greenberg realise that twenty-two year old Barry White had been in a number of bands while he was in high school ands he had been in back home in New Jersey. Soon, the pair got talking and before long, Peter Greenberg had invited Barry White to his house later that evening. Having spent the evening listening to records, Peter Greenberg and Barry White had come up with an idea of forming a new group, and had worked out what they wanted to do and who they wanted to bring onboard. This included The Lyres’ former rhythm section of drummer Howard Ferguson, bassist Phil Lenker and guitarist Peter Greenberg who would be joined by local saxophonist Steve LaGreca. The final member of the band was Barry White who was going to be the new band’s vocalist. Initially, the pair planned to call the band Barry White and The Savages, but the worry was people would confuse the journalism student and used record story employee with the soul superstar having. That was why Phil Greenberg and Barry White decided to call their new band Barrence Whitfield and The Savages. Before long, the nascent Barrence Whitfield and The Savages were playing live and soon, had established a reputation for their high-octane live performances where they played a mixture of new songs and obscurities from the fifties and sixties that Barrence Whitfield had discovered during his days working in the used record shop. These songs Barrence Whitfield and The Savages learnt and incorporated into their stage show. Over the next few years, Barrence Whitfield and The Savages who were now a six piece band after the addition of pianist and organist Bill Mooney-McCoy, hit the stage running and unleashed sets where the music was raw, raucous, rough and tough and struck a nerve with many fans of fifties and sixties R&B. Meanwhile, Barrence Whitfield seemed to be channeling the spirit of the old soul screamers including his hero Little Richard and Don Covay, Solomon Burke and Wilson Pickett. Barrence Whitfield and The Savages were a force to be reckoned with, whose star was in the ascendancy as they became one of the top acts on the Boston music scene. 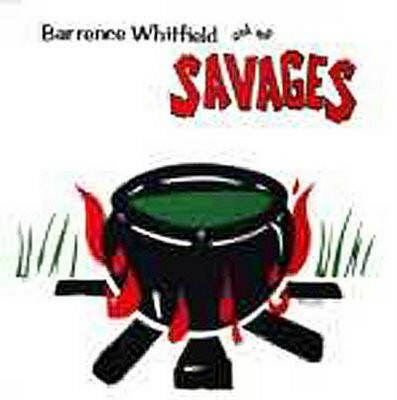 Many within the Boston music scene thought that it was only a matter of time before a record company came calling and Barrence Whitfield and The Savages signed on the dotted line. However, when this didn’t happen, Barrence Whitfield and The Savages decided to take matters into their own hands and finance and produce their eponymous debut album. Barrence Whitfield and The Savages. Having made the decision to record their debut album Barrence Whitfield and The Savages, chose a mixture of cover versions and original songs penned by the band. This included Walking With Barrence, Mama Get The Hammer, Go Ahead And Burn, Savage Sax, Walk Out, Miss Shake It, Whiskey Wagon and King Kong. They joined covers of Don Covay’s Bip Bop Bip, Ronnie Molleen’s Fat Mama, Bill Ballard’s Cotton Pickin’, Jimmy McCracklin’s Georgia Slop and The Customs’ The Ship Sailed At Six. These tracks were recorded at Perfect Crime Studios, Watertown, Massachusetts. That was where the rhythm section of drummer Howard Ferguson, bassist Phil Lenker and guitarist Peter Greenberg who would be joined by local saxophonist Steve LaGreca and pianist and organist Bill Mooney-McCoy. Barrence Whitfield continued in his role of soul screamer, while Peter Greenberg took charge of production. With the band financing the recording, the band worked quickly and Barrence Whitfield and The Savages, was ready for release later in 1984. Despite the band financing Barrence Whitfield and The Savages, which they released on their own short-lived label Mamou Records, critics were won over by an album that managed to replicate the band’s live sound. There was a raw, raucous sound to Barrence Whitfield and The Savages’ unique brand of high-octane R&B and rock ’n’ roll. After the release of Barrence Whitfield and The Savages in 1984, mostly, the album was sold at the band’s gigs or through various independent distributors. 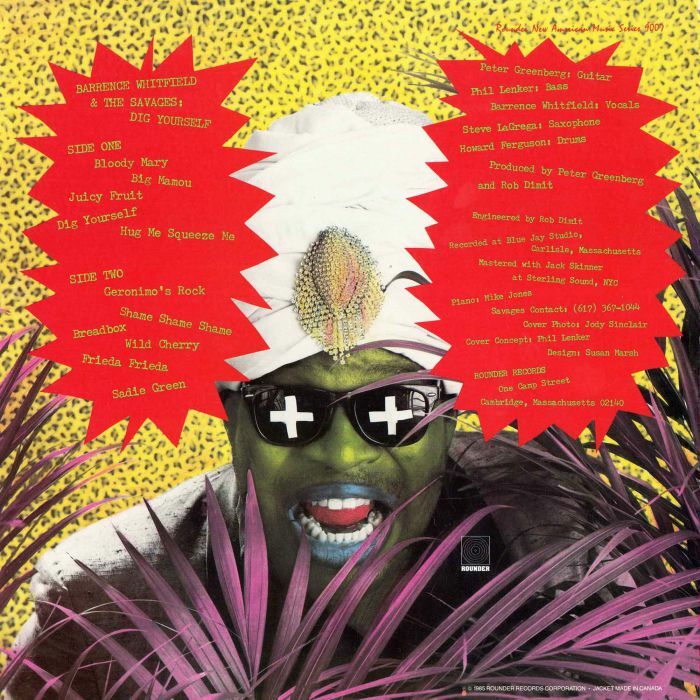 Meanwhile, Barrence Whitfield and The Savages continued with what was a gruelling live schedule and by late 1984 were omnipresent on the Boston music scene. Whenever any of the bigger local bands played in Boston, including De Fuegos, they wanted Barrence Whitfield and The Savages to open for them. Barrence Whitfield and The Savages worked the audience into a frenzy before passing the baton to the headliner. Across the Atlantic, copies of Barrence Whitfield and The Savages had become prized items among music lovers. This included David Woodhead, who was a member Billy Bragg’s touring band. He had discovered the album whilst touring America, and on his return home, leant his copy to Radio One DJ Andy Kershaw. When he heard Barrence Whitfield and The Savages, went into bat for the band. Soon, he was playing the album on his radio show. Before long, Andy Kershaw headed stateside where saw Barrence Whitfield and The Savages in Boston when they opened for Del Fuegos. The next time he saw Barrence Whitfield and The Savages, was in London, where they once again, were opening for Del Fuegos. This lead to an appearance on the legendary BBC television programme The Old Grey Whistle Test, where Barrence Whitfield and The Savages were following in the footsteps of many musical legends. After their first appearance on The Old Grey Whistle Test, promoters were scrambling to book Barrence Whitfield and The Savages on their first British tour. When Barrence Whitfield and The Savages returned to Britain for the tour, things had changed for the band. 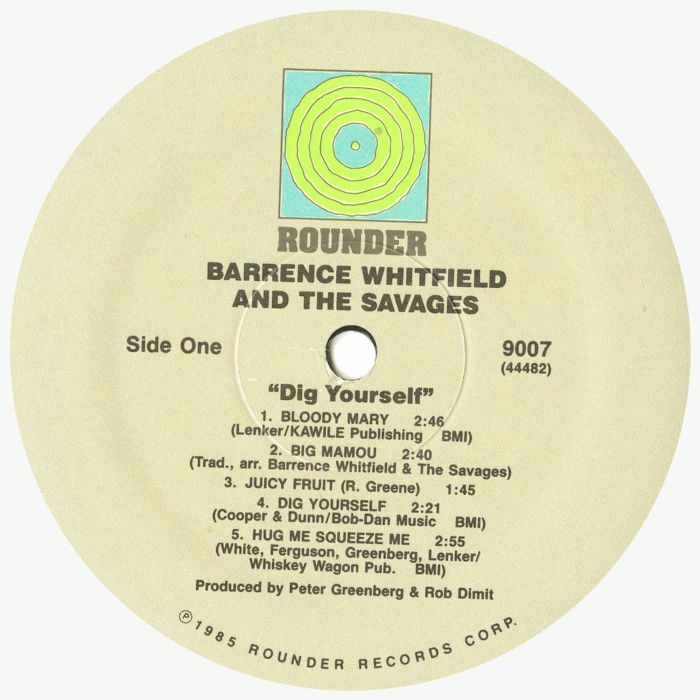 Rounder Records had swooped and signed Barrence Whitfield and The Savages, and sent the band into Blue Jay Studios, in Carlisle, Massachusetts where they recorded the twelve songs that became Dig Yourself which featured on Dig Everything! The Early Rounder Albums, which was recently released by Ace Records. For Dig Yourself, Barrence Whitfield and The Savages chose eleven tracks that became their sophomore album. Unlike their eponymous debut album, Barrence Whitfield and The Savages didn’t write any of the songs on the album. However, Phil Lenker penned Bloody Mary and Bread Box and wrote Hug Me Squeeze Me with Barrence Whitfield, Howard Ferguson and Peter Greenberg. The members of Barrence Whitfield and The Savages also arranged the traditional song Big Mamou. It was joined by covers of Rudy Green’s Juicy Fruit, Bobby Dunn and Lee Cropper’s Dig Yourself, Jerry McCain’s Geronimo’s Rock, Bob Geddins and Jimmy McCracklin’s Shame Shame Shame, Jerry West and Leroy Washington’s Wild Cherry, Billy Jones’ Frieda Frieda and Chris Tyler’s Sadie Green. These tracks were recorded by the latest lineup of Barrence Whitfield and The Savages. When Barrence Whitfield and The Savages arrived at Blue Jay Studios, in Carlisle, Massachusetts, there had been one change in the band’s lineup since they recorded their eponymous debut album. Pianist and organist Bill Mooney-McCoy had left the group and they returned to being a five piece band. This meant that the lineup featured a rhythm section of drummer Howard Ferguson, bassist Phil Lenker and guitarist Peter Greenberg who would be joined by local saxophonist Steve LaGreca and soul screamer Barrence Whitfield. They were joined Rob Dimit who engineered and produced Dig Yourself which was released later in 1985. Critics on hearing Dig Yourself were won over by what was a relatively short, but explosive album of high-octane music that flitted between and fused elements of R&B, rock ’n’ roll, blues, funk and soul. Still, the music had a rawness, energy and vibrancy from the explosive opening bars of Bloody Mary where the saxophone accompanies primal soul screamer Barrence Whitfield as he whoops and hollers. Meanwhile, The Savages turn the calendar back to 1955 as they work their way standout tracks like Juicy Fruit which is dripping with innuendo, while Hug Me Squeeze Me is raw and ribald. 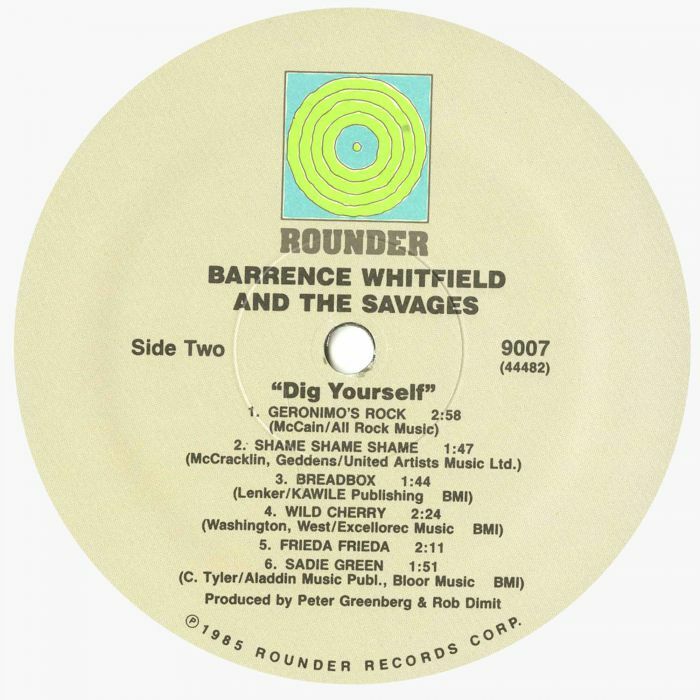 The stomping Geronimo Rock opened the second side of Dig Yourself, as the music became visceral, gritty and explosive as Barrence Whitfield and The Savages strut and swagger their way Bread Box, Wild Cherry, Frieda Frieda and Sadie Green, which closes the album on a high. When Barrence Whitfield and The Savages’ sophomore album Dig Yourself was released in 1985, it proved popular on both sides of the Atlantic. Especially in Britain were record buyers played the album non stop, then told their friends who did the same thing. Mostly, through word of mouth, Dig Yourself sold well in Britain, and back in home in America, especially in Boston and across Massachusetts. Eight years after Barry White met Peter Greenberg, and first spoke about forming a new band together, Barrence Whitfield and The Savages were enjoying more success in Britain than in America. This was frustrating for the members of Barrence Whitfield and The Savages. While Barrence Whitfield and The Savages enjoyed their trips to Britain, where their records sold well, but not well enough to chart, they were a popular live band. That was the case in their home city of Boston. However, still Barrence Whitfield and The Savages’ albums weren’t selling well, and after eight years of playing live almost nonstop, this frustration boiled over, when The Savages quit. The last man standing was Barrence Whitfield, who decided to put a new lineup of the band together. Eventually, Barrence Whitfield drafted in six new members and lineup of Barrence Whitfield and The Savages was almost unrecognisable. Barrence Whitfield was the only familiar face and he was joined by a rhythm section of drummer Lorne Entress, bassist Richie Robertson and guitarist and vocalist Milton Reder. He was joined by pianist and organist Bruce Katz and saxophonist David Sholl. Given this was essentially a new band, it took time for the latest lineup of Barrence Whitfield and The Savages to hone their sound. It took longer than Barrence Whitfield had envisaged to get the new lineup road ready, but eventually, he took the latest lineup of the band he cofounded in 1977 on the road. This allowed Barrence Whitfield and The Savages to reconnect with their fans, before heading into the studio to record their third album Call Of The Wild. Two years had passed since Barrence Whitfield and The Savages released Dig Everything in 1985, and the band’s fans were clamouring for a new album. When Barrence Whitfield and The Savages recorded just six new tracks in studios in Boston and New York. This included Madhouse and Girl From Outer Space which was penned by Milton Reder who wrote Livin’ Proof with Jon and Sally Tiven. They were joined by on Call Of The Wild by David Sholl’s Stop Twisting My Arm, Ben Vaughn’s The Apology Line and Sid Prosen’s Rockin’ The Mule In Kansas. These tracks were produced by Mike Costello and Milton Reder, and scheduled for release in 1987. With Call Of The Wild only featuring six tracks it was referred to as a mini album. Despite this, Call Of The Wild was released in Europe in 1987, and later in 1987 four other tracks were added and became Ow! Ow! Ow! which was released in America as a full length album. By then, Call Of The Wild was selling reasonably well, but not enough to trouble the charts. Call Of The Wild opened with Stop Twisting My Arm and straight away, the band’s trademark raw rocking sound can be still heard, although the almost manic energy of Dig Yourself has been reigned in somewhat. The tempo drops on the bluesy Madhouse where David Sholl’s saxophone accompanies the vocal. However, one of the highlights of Call Of The Wild Livin’ Proof which features a much more contemporary sound as rock and R&B melt into one. Soul Screamer Barrence Whitfield unleashes a vocal powerhouse on the bluesy Girl From Outer Space, before he delivers a heartfelt vocal on the ballad The Apology Line. Rockin’ The Mule Back In Kansas which showcases the sound that featured on Dig Yourself closes the album on a high, and leaves the listener wanting more the new lineup of Barrence Whitfield and The Savages. Despite only featuring six tracks and being called a mini album, Call Of The Wild was actually a longer album than Barrence Whitfield and The Savages’ sophomore album Dig Yourself. 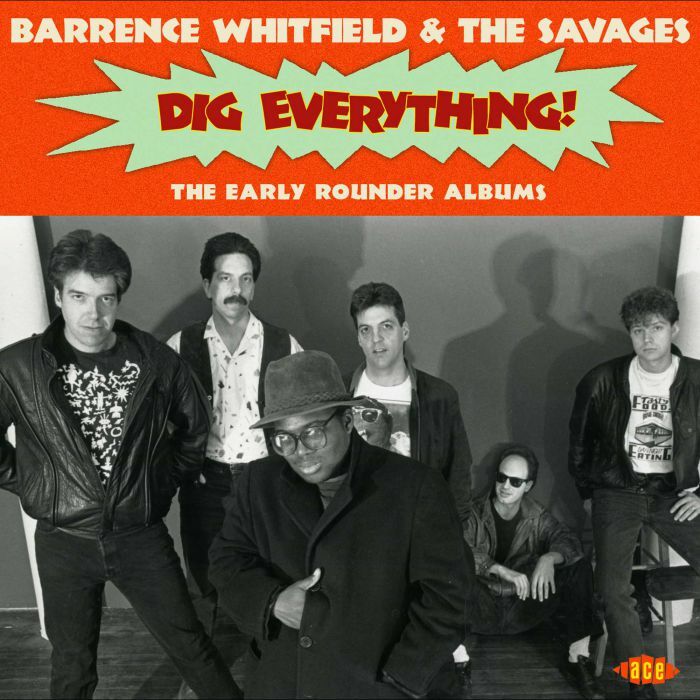 Both albums feature on Barrence Whitfield and The Savages-Dig Everything! The Early Rounder Albums which was recently released by Ace Records. It documents the end of the first chapter in the Barrence Whitfield and The Savages’ story, and the start of the second chapter. The first chapter closes with the release of Dig Yourself in 1985, which was high-octane album where Barrence Whitfield and The Savages flitted between and fused elements of R&B, rock ’n’ roll, blues, funk and soul, as they swaggered and strutted their way through twelve tracks that were visceral, gritty and explosive. This proved more popular in Britain than in America which was frustrating for Barrence Whitfield and The Savages and hastened the demise of the original lineup of The Savages. 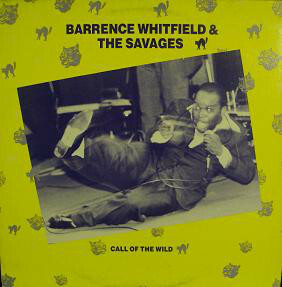 Two years later, the second chapter in the Barrence Whitfield and The Savages’ story began with the release of the mini album Call Of The Wild. It features blues, R&B and rock as Barrence Whitfield and The Savages on an album that features raw and explosive tracks as well as a ballad, where Barrence Whitfield soul screamer becomes the soul balladeer on The Apology Line. This shows another side to Barrence Whitfield and The Savages, who celebrated their tenth anniversary in 1987. Little did anyone realise that thirty years later, and Barrence Whitfield and The Savages would still be making music. They’ve been together since 1977, and although the lineup has changed several times, their music is still raw, energetic and explosive. 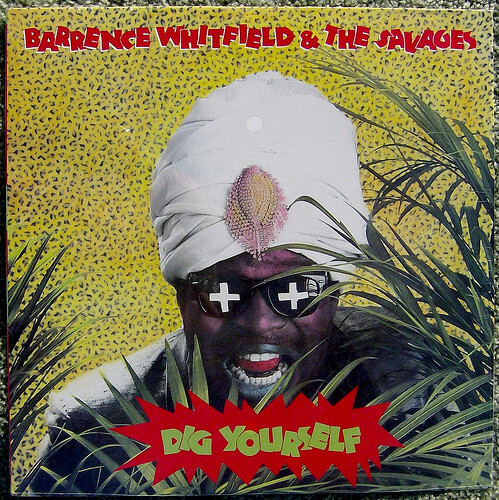 That was the case on their 1985 sophomore album Dig Yourself and Call Of The Wild, which featured on this latest Barrence Whitfield and The Savages’ release Dig Everything! The Early Rounder Albums. Glad that you liked the post. Good luck with your article on Barence Whitfield and The Savages. It’s a fascinating story and one I thoroughly enjoyed writing while listening to these two great albums. What a great flashback! I haven’t heard Barrence’s name in years!